Welcome Employers and Human Resource Specialists! The hiring process isn’t always easy, but not to worry. Fingerprinting Express is committed to making the process easier for you by going above and beyond for all of our applicants. 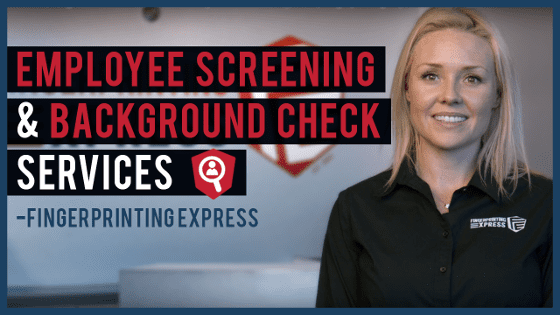 Our goal is to process your criminal history background checks in a timely and safe manner and when you send a new hire or volunteer to Fingerprinting Express you are providing a great impression by using a clean and secure facility run by background check experts. Protecting personal information is our specialty. The purpose of this form is to have additional information emailed to you about the Fingerprinting Express Criminal History Background Check Service. Once you have completed the form below please hit “send” at the bottom of the page. Feel free to call us at 800-919-0227.